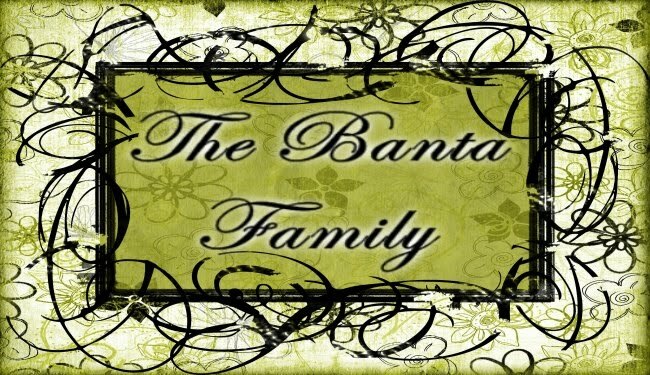 I will no longer be using this blog, as the title, "The 3 Bantas" is not very fitting. Who came up with that name in the first place! Honestly! Anyway, you can visit us now at www.bantajoys.blogspot.com Enjoy! Last week, we enjoyed the Events at Cheyenne Frontier Days! Taysen and Milly loved all of the cowboys, cowgirls, horses, cows, and western stuff. Grandpa and Grandma Banta joined us for part of the week, and we had a great time. We had a great 4th of July. We surprised my family and went to Star Valley for the 4 day weekend. My Dad turned 50 years old on the 2nd, so it was a great weekend to spend time with everyone and celebrate his birthday and the 4th of July. Taysen and Amilya were so excited of course when they found out the day we were leaving that we were going to Nana and Papa's for the weekend! They love visiting Nana and Papa, Jacob, Emily, Jaden, and Abby! Taysen is obsessed with the farm! He follows Uncle Jaden around and helps him milk the cows, feed the cows, and this time, Taysen got to ride on the tractor! Amilya loves to play with Aunt Abby and play in the playhouse, and jump on the trampoline. They both love to ride the four-wheeler and ride horses! I'm not very good at blogging, but when I do post a blog, it is always long overdue and I feel like a just accomplished something huge, so I am about to accomplish something huge. Where do I begin? Summer was great, but then I topped it off by getting reconstructive surgery on my ankle and was off my feet for 4 weeks and in a walking boot for 3 weeks. Amidst all of this, Milly started preschool, and Taysen gets smarter and busier everyday. I recovered pretty quickly for the nature of the surgery, and now life is back to normal and we are enjoying beautiful Fall in Cheyenne, and looking forward to Christmas. I have so much to be grateful for in my life. I am amazed at the grace and mercy from my Heavenly Father as each experience in this life only makes me better and stronger. I am grateful for a wonderful Husband who works hard, is kind and loving, righteous, and patient. I am grateful for two beautiful children that make me smile each day and bring me so much joy. I am grateful for a beautiful home, health and strength, and the abundance of knowledge and blessings I am given. I can't believe how fast this summer is going. This summer has been busy for us, seeing family and traveling. We went to Mount Rushmore with my family, spent the 4th of July weekend in Preston, Idaho with Tyler's family, lots of other things, and to top it off, the kids and I leave tomorrow to spend 3 weeks in Star Valley with my family. We are so excited, especially Amilya! Taysen turned one year old this last week! It's amazing how fast time has gone by this year has gone by. Taysen has been walking since for 2 months now and is constantly on the go. He is so fun, though. His favorite things are going outside, taking everything out of drawers and cupboards, unraveling toilet paper, pulling hair, and playing with balls of all colors and sizes. He now says "Uh-Oh." It is so cute. Tyler and I have been married since April 15th 2004. Amilya is 5 and goes to Kindergarten and Taysen is 2, and keeps me busy at home while Tyler serves in the Air Force. We live in Cheyenne, Wyoming and love life, love the Lord, and are a very blessed and happy family.